Cited by CNBC as “the Bible for coffee enthusiasts”, Barista Magazine leads the industry in providing café owners with how-to and business articles, cutting-edge trend pieces, and travel editorials in each of its bi-monthly issues. Established in 2005 as the go-to resource for professional baristas and café owners. Since the website launched in late January 2015, Perfect Daily Grind has achieved unprecedented levels of audience growth of over 850%. The team of global writers, rooted in over 25 countries, are dedicated to documenting the story behind the cup and exposing readers to the stages and people along the coffee supply chain from bean to cup. Subscribe to the Perfect Daily Grind newsletter! Established in 2012, Black Water Issue, a Korean professional media organization specialized in specialty coffee, has been publishing global coffee culture, news and stories of coffee people on and offline. We have also covered World Barista Championship since 2015 and released the review book of 2017 WBC, Regraphy, early this year. 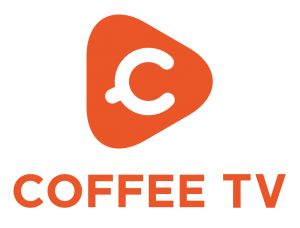 Founded in 2015, CoffeeTV is the world’s first coffee media platform that provides various Asian-Korean cutting-edge trends, articles, video and image-based content to global coffee people, including baristas/coffee professionals/café owners and coffee lovers. Join us on-line at coffeetv.co.kr, Facebook, YouTube, and Instagram.